I’m Devin Person. I’m a Professional Wizard. A faithful practitioner of magic for more than ten years, I've immersed myself in the study of occultism, eastern philosophy, Jungian psychology, neurolinguistic programming, personal growth, business management, and ritual magic. Through this research, I found psychological processes underlying what shamans and sorcerers call “magic”. Using thought to change reality is nothing new. From mindfulness meditation to the placebo effect, psychology backs the claim that mental actions can produce real world benefits. My approach to wizardry is based in awareness, playing with our own patterns and seeing where they eventually lead. I work with businesses and individuals open to adding a little magic into their lives. If you want unorthodox solutions to common problems, mystic techniques for subconscious exploration, and practical ways to use creativity and imagination to change your life, then you'll probably enjoy working with a wizard. I'm weird, but I get results. What does a wizard do? Access your inner magic, trust yourself, and take meaningful action in your life. Realize how much power you already have, and give you tools to use it. Learn about meditation, hypnosis, and mystic approaches to problem solving, in a way that feels smart and authentic, rather than "woo woo" and out there. 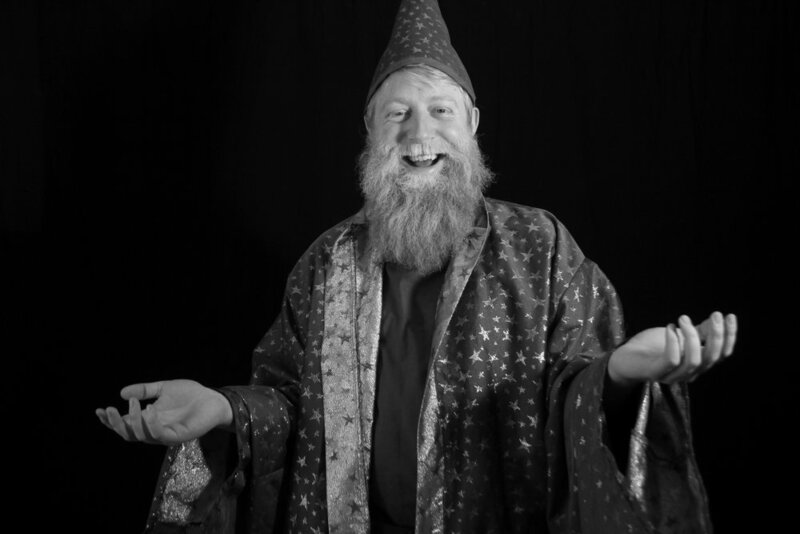 As a wizard, I value humor, surprise, pragmatism, collaboration, honesty, and radical transparency. If you're still not sure how seriously to take this, then you're in the perfect frame of mind to work with a wizard.